Most impressive demonstration of buffer bloat on a 3G/HSDPA network that is heavily congested. This is how carrier’s can claim that their networks don’t drop packets — they buffer them and then send them regardless of whether they are needed by the application. If an application received a packet with more than 30 seconds of delay then it would likely to be discarded because the TCP buffer will have sent a retry or cleared the buffer. We have too much queueing in our networks. 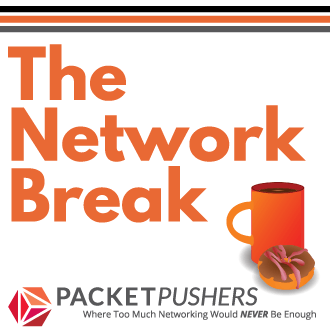 TCP was designed to drop packets so as to control the send and receive rate. The addition of DPI means that huge buffers are needed to allow time for scanning and this causing the Internet to slow down. 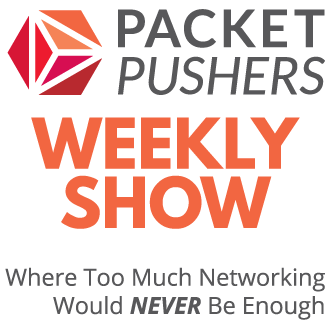 It’s time to write RFCs that set maximum limits on buffers and packet delay. I have a client with a remote site in the boonies running cellular who constantly raises support incidents. They are running citrix sessions over this link, and the latency during congestion periods wreaks havok. Not being a cellular guy I can’t comment on how large buffers in the radio elements are, but I have seen references to ARQ/HARQ protocols adding to latency over cell links. From what I understand, it’s due to high BER triggering re-transmissions until frames are sent cleanly or derived with FEC. 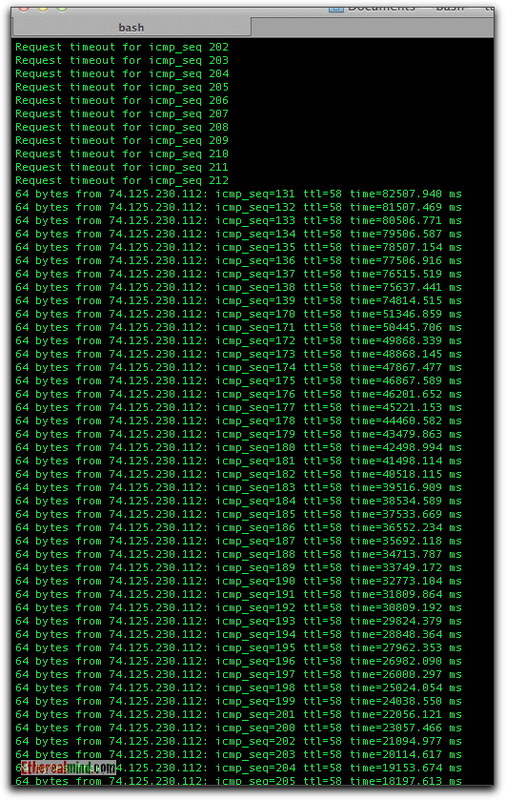 The default interval between pings for most ping clients is 1s. Which makes the results seen above rather interesting. Assuming that the ping has been running for 213s (seq 212 timeout) before reply for seq=131 is recieved, the calculated “delay” of 82s while large is entirely sane. What’s interesting however is that the delay is _reducing_ packet on packet – 82s, 81s, 80s – reducing by almost exactly 1s with each successive packet; in other words this network has acted as if it were a tube 40s long. I’d hazard a very, very good guess that rather than “buffer bloat” – that you were seeing a demonstration of collision avoidance in action here (radios are simplex; they also tend to work at sub-IP-MTU sizes, implementing a segmentation/ reassembly layer to ensure whole frames are eventually received regardless of sub-frame/ cell loss). Given sufficient noise/ interference – you’ll see equivalent behaviour out of dot11. Raising the next interesting question – you weren’t talking to your 3g network _over_ dot11, were you? The answer is yes. WiFI to 3G/HSDPA modem. You are thinking it’s a L2 problem not an L3 issue at all ? I have my suspicions, yes. nb: USB 3G sticks aren’t isochronous peripherals either – so again it’s entirely possible for the host USB stack (layered under the network device, IP, and ICMP) to hold on to URB’s waiting for the 3G radio to be ready to send.